Saturday brought fine weather for seafaring — light winds and clear blue skies — but among local fishermen the mood was black. The first day of May marked the official beginning of sector management, a new system of federal fisheries regulation that has put the Provincetown fleet on the fast track to oblivion. “It’s going to be ugly. It’s going to be extremely ugly to start,” said commercial fisherman Chris King. King is the only groundfisherman in Provincetown who’s been able to join a sector, a group of fishermen assigned a quota that they must divide among themselves according to rules recently devised by the National Marine Fisheries Service. In the 17 sectors in New England, an individual fisherman’s share of the total allowable catch — his “catch share” — is determined by his past landings. All well and good for groundfishermen south of the 42nd parallel, where the daily quota on cod has at times been as high as 2,000 pounds per day. But it’s been a different story in Provincetown. Read the complete story at Wicked Local. To improve relations between fishermen and the fisheries service, Congresswoman Carol Shea-Porter has introduced the National Marine Fisheries Service Ombudsman Act of 2010 in the House. 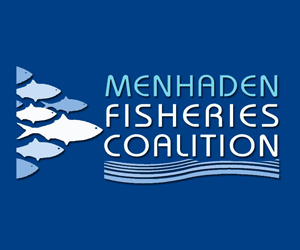 This legislation will create an Office of the Ombudsman within the NMFS who will act as a neutral third party to identify and attempt to resolve points of conflict between the NMFS and fishermen. Read the complete story at Bedford Journal. Gloucester's elected local and state officials Tuesday advised the state's congressional delegation that the fishing industry based here was imperiled by federal policies and the rush to put in place the catch share regulatory system fused to guild-like cooperatives of fishermen. 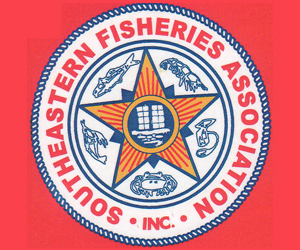 The letter — by Mayor Carolyn Kirk, state Sen. Bruce Tarr and state Rep. Ann-Margaret Ferrante — emphasized that the National Marine Fisheries Service did not seem prepared for the start of catch share system used by the cooperatives, called sectors, and that the confusion, uncertainty and worry have left the fleet unwilling to immediately return to fishing. The Gloucester Seafood Display Auction reported that, in the first week, the business auctioned only 4,000 to 5,000 pounds of fish during a period when a year ago nearly 10 times that amount was offered and sold, Kirk, Tarr and Ferrante told U.S. Sens. John Kerry and Scott Brown and Congressman John Tierney. Schumer secures commitment from Commerce Secretary to reexamine NY data collection system that limits fish catches for Long Island commercial fishery; presses Locke to increase 2010 catch limits on Choke stocks. Schumer Called for an Immediate Review of Historical Catch Data for New York Fishing Community, Noting Allocations are Not A True Reflection of Historical Catch; Pressed Locke to Increase Limits on Choke Stocks, Like YellowTail and Winter Flounder. 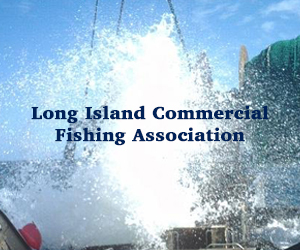 New Catch Limits Making Problem Worse for Commercial Fishing Industry in Long Island; Have Potential to Shut Down Entire Sectors of Commercial Fishing Industry. Today, United States Senator Charles E. Schumer secured a commitment from US Commerce Secretary Gary Locke to reexamine the historic data collection system that severely limits catches for commercial fishers in Long Island and pressed the Commerce Secretary to increase 2010 catch limits on choke stocks in the North East Multispecies groundfishery, like yellowtail flounder, winter flounder, and pollock. Schumer noted the very real threat faced by commercial fishers who are seeing significant portions of their industry shut down because of overly stringent caps on catches that are not based on the best available and most accurate data. Catch data for New York is flawed largely because fish caught in New York waters are kept in boxes while at sea, unlike fish in New England, which are generally stored in open pens. The box system was created over a century ago to make the transport of caught fish to open markets in New York City easier for transit. Instead of counting the individual fish and identifying their species, the actual boxes were counted and represented fewer fish than were actually caught by NY fishermen. In the end, an accurate count of the fish and the species was not obtained, making it appear as though historic landings in New York were lower. This disadvantages New York fishermen today because catch allocations in the Mid-Atlantic fisheries are based on historic landings, leaving New York with a smaller share of the total allocation. The issues in the northeast groundfishery are equally problematic. New York fishermen contend that the 1996-2006 NMFS data that determines allotments of groundfish is inaccurate and incomplete. Many fishermen have reported multiple errors in landings data and documented by fish returns. By revisiting historic data, the Commerce Department would allow Long Island fishers greater access to populations vital to New York’s commercial fishing industry. The New England multispecies groundfishery is composed of 19 different stocks of fish that live near the ocean floor. Certain species of groundfish have been come to be known as ‘choke stocks’ because the catch limits for these species are extremely low. Once a fisherman catches his limit of any of his fish quotas of a stock for the year, he must stop fishing or buy more quotas. Under the new system for the groundfishery, once fishermen catch more than their allocation of any one of 19 groundfish species — either intentionally or through bycatch — the entire sector is shut down. Schumer’s meeting with Locke comes on the heels of a recent meeting, in which he secured a commitment from National Oceanic and Atmospheric Administration (NOAA) Administrator Dr. Jane Lubchenco to visit Long Island this summer to meet with local fishers to hear firsthand the economic impact that imprecise and inflexible fishing restrictions is having on the industry. In that meeting Schumer specifically cited recent information that showed NOAA’s early estimates for black sea bass catch in 2009 were overvalued and called for an immediate expansion of the sea bass fishing season in 2010. Administrator Lubchenco committed to taking a hard look at an expansion of the season. As of 2000, the overall economic contribution of sport and commercial fishing, as well as the seafood industry, pumped an estimated $11.5 billion into New York’s economy. Today, the fishing industry in New York is reeling. The commercial fishing fleet in Greenport at one point numbered more than 30 boats, as of today there are only 2. Montauk’s popular “Viking” fleet of recreational boats is experiencing more than 30% in lose business, tackle and bait shops are on the verge of closing doors, and coastal downtowns are losing ancillary business. Schumer has been a long-time advocate of Long Island’s fishing industry. Recently he introduced legislation that would allow economic impacts considerations to be considered when determining how best to rebuild a fishery. They were members of a delegation of 23 federal lawmakers scheduled to meet this morning with Commerce Secretary Gary Locke to appeal for a suite of economic relief measures designed to help keep the New England groundfishery viable. The New Bedford Mayor’s Ocean and Fisheries Council met May 7, 2010 at the United Fisherman’s Club in New Bedford, Massachusetts to discuss the May 1 implementation of sector management and the upcoming meeting between Secretary Locke and members of Congress. 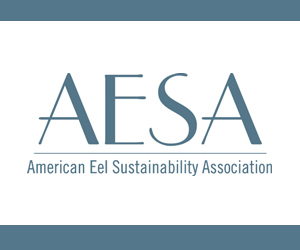 On May 12 the Secretary plans to discuss the implementation of catch shares in New England with members of the congressional delegation. The Mayor’s Ocean and Fisheries Council convened to provide input for this discussion. Meeting handout #1, testimony of Dr. Brian Rothschild before the House Natural Resources Committee. Meeting handout #2, Letter from Commerce Secretary to Congressman Frank, et all. Read Mayor Lang’s letter here. The following release was recieved from the Massachusetts House of Representatives: BOSTON—State Representative William M. Straus (D-Mattapoisett), joined by Representative Quinn (D-Dartmouth), Representative Peterson (R-Grafton), Representative Ferrante (D-Gloucester), Representative Koczera (D-New Bedford), Representative Canessa (D-New Bedford), Representative Cabral (D-New Bedford), and Representative Gifford (R-Wareham), authored a resolution calling upon Secretary Locke of the U.S. Department of Commerce to increase the 2010 Annual Catch Limits for the 19 fish stocks in the Northeast multispecies fishery. 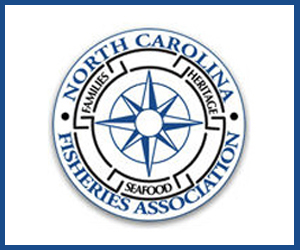 “As legislators, we are concerned about the new regulations adversely affecting what is already a difficult situation for our state’s fishermen. We believe the new regulations are not only overly burdensome but also threaten to unnecessarily deplete jobs in the fishing industry” said Rep. Straus. “This resolution calls on the Secretary of Commerce to exercise his powers to implement emergency regulations and increase the catch limits” he added. Fishermen and coastal communities in Massachusetts depend heavily on the Northeast multispecies fishery as a resource and as an important source of revenue, but recent data (2007) have reported that New England’s groundfish landings have fallen to $92 million from previous highs of $313 million annually. This decrease in value has increased concern about the stability of the local economies and the potential for fishermen to earn enough money to support themselves and their families. While values have decreased, certain annual catch limits for 2010 have been dramatically reduced by up to 75% of 2009 levels, furthering concerns about economic viability. Many fear that the new 2010 groundfishery management approach will prove similar to past efforts that did not effectively manage fish stocks. 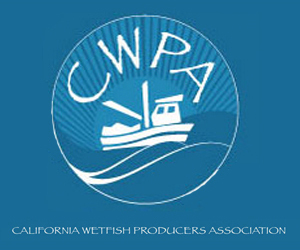 2007 data demonstrate that only 27% of the total allowable catch was harvested due to regulatory measures designed to protect the weakest stocks, costing fishermen and coastal economies approximately $500 million. The Massachusetts bi-partisan resolution is mirrored after language sent by 23 members of the Congressional delegation of New York, New Hampshire, Rhode Island, Connecticut, Maine, and Massachusetts, including both U.S. Senators for Massachusetts, to the Secretary of Commerce for relief from the Federal Plan scheduled for implementation on May 1, 2010. One week into sector management, the fishing industries of Gloucester and New Bedford will hold public meetings today to come up with a status report to take to Commerce Secretary Gary Locke next Wednesday. The Gloucester meeting is set for 8:30 a.m. today at City Hall, and was organized by Mayor Carolyn Kirk, state Sen. Bruce E. Tarr, R-Gloucester, and state Rep. Ann-Margaret Ferrante, D-Gloucester. 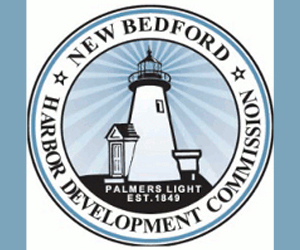 The New Bedford meeting is slated for 2 p.m. at the United Fishermen's Club, 639 Orchard St. Organized by Dr. Brian Rothschild, head of the mayor's fishery task force, it is being called an "emergency" meeting. "The agenda will cover the readiness issue and whether annual catch limits are too risk-averse," Rothschild said. Locke has scheduled a meeting in Washington, D.C., with nearly two dozen congressmen and senators from the Northeast who petitioned him last month to intervene in the new management system. They appealed to Locke after getting no results from the leadership at the National Oceanic and Atmospheric Administration. NOAA pressed ahead with no changes in its sector management system and catch shares as of May 1, despite a series of meetings, forums and appeals from fishermen, scientists and political leaders. NOAA has not disputed the prediction that many boats will be forced out of business because the sharply reduced catch limits don't allow them enough fish to pay expenses, much less profit. Critics say the catch limits are unnecessarily conservative, based on data that is often three years old, and needlessly threaten the local economies of port cities such as Gloucester and New Bedford. In a prepared statement, Gloucester Mayor Carolyn Kirk said, "Every day matters because every day the new system is in place is a day closer (to when) Gloucester fishermen are going to go out of business. We want to hear directly from fishermen on the impact of the new regulations now that they are seven days into it." State Sen. Bruce E. Tarr (R-Glouceste) said, "We can't afford to wait to determine its impacts, and this meeting will give us an important opportunity to develop a strategy on going forward to protect fishing families and our port." State Rep. Ann-Margaret Ferrante (D-Gloucester) commented: "I along with my colleagues intend on watching NOAA's fisheries management experiment closely given that it stands to devastate many of our neighbors, friends and family. 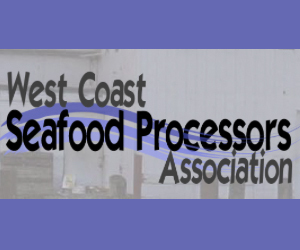 I am deeply disappointed that NOAA and the National Marine Fisheries Service are not engaged with the industry on this level." The Standard-Times is a subscription site. Unregistered visitors are able to read three stories per month, and registered visitors may view ten. For unlimited access, please follow the subscription instructions on the site. Mayor Carolyn Kirk and Gloucester's two state lawmakers will be hosting an open meeting for local fishermen on how the implementation of the new fishing regulations is going. Kirk, state Rep. Ann-Margaret Ferrante and state Sen. Bruce Tarr have set up the meeting for Friday beginning at 8:30 a.m. in City Hall's Kyrouz Auditorium. The gathering comes six days after the National Oceanic and Atmospheric Administration's new catch-share management system and the National Marine Fisheries Service's new allocation limits went into effect last Saturday. "Every day matters, because every day the new system is in place is a day closer Gloucester fishermen are to going out of business," Kirk said in announcing the meeting. "We want to hear directly from fishermen on the impact of the new regulations now that they are seven days into it."